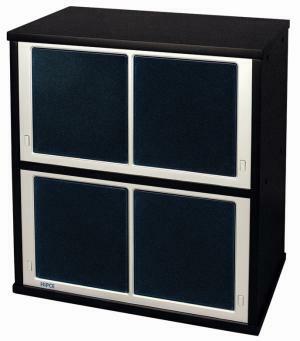 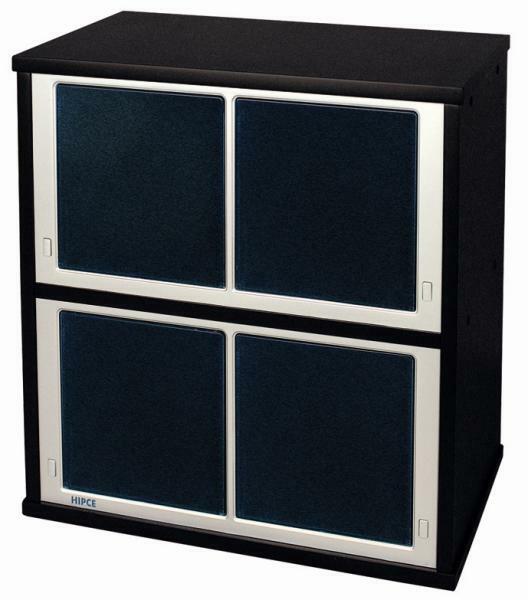 Drawers glide out quietly and smoothly with one easy touch the button. 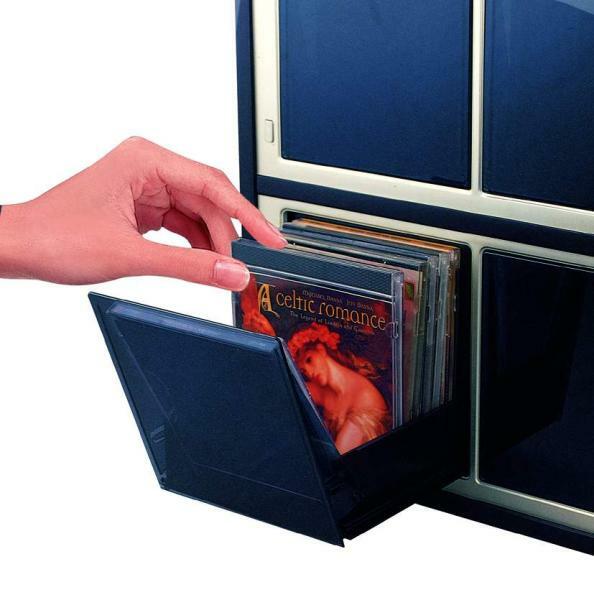 Hold 48 regular CD jewel cases in total (or 96 slim cases), each drawer holds 12 CD regular cases. 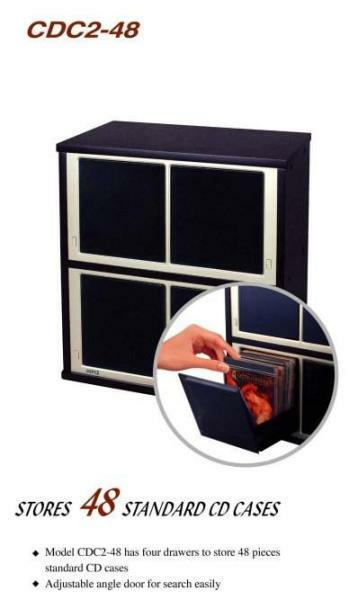 Drawer has tilt out function for easy search.